Over one-third of Earth’s population lives with 100 km of a coastline and depend on the services that coastal ecosystems provide. With the intensity and impact of hurricanes expected to increase in the future, there is a need to understand how coastal ecosystems will be impacted by and recover from hurricanes, and how these changes will influence human well-being. Coastal ecosystems such as mangrove forests are highly susceptible to effects from hurricanes. Hurricanes can provide valuable sediments and nutrients that promote plant growth and increase the stability of some coastal ecosystems. However, storm surge, saltwater intrusion, wind, and extreme rainfall can knock down forests, lead to erosion, and transform plant communities. This can lead to an abrupt and irreversible ecosystem transformation. In a southwestern section of Everglades National Park, hurricanes may have contributed to the conversion of mangrove forests to lower-elevation mudflats. The mangrove forests offer some protection from storm surge and can provide habitat stability. Long-term transformation to mudflats would have serious effects on the ability of coastal wetlands to persist against hurricanes and rising sea levels. Left: mangrove forests and mudflats at the study site. Right: the intricate root systems of mangroves help stabilize living shorelines against erosion and extreme weather events. Photos courtesy of Michael J. Osland, USGS. United States Geological Survey (USGS) scientists have measured surface elevation changes in these mangroves and adjacent mudflats for nearly 20 years, including changes brought on by Hurricane Wilma in 2005 and Hurricane Irma in 2017. Michael J. Osland, a USGS research ecologist, will speak on this research at the 2018 ESA Annual Meeting in August. They found that over the last two decades, rates of elevation change in the mangrove forests and the un-vegetated mudflats have been very different. While the soil elevation in the mangroves has been relatively stable, the mudflats have been losing elevation. The data highlight the ability of mangrove trees to reduce elevation loss and minimize erosion while promoting wetland stability through root production. Their findings also indicate that the effects of mangrove conversion to mudflats are long-lasting, with negative impacts on the resilience of these ecosystems against extreme events. 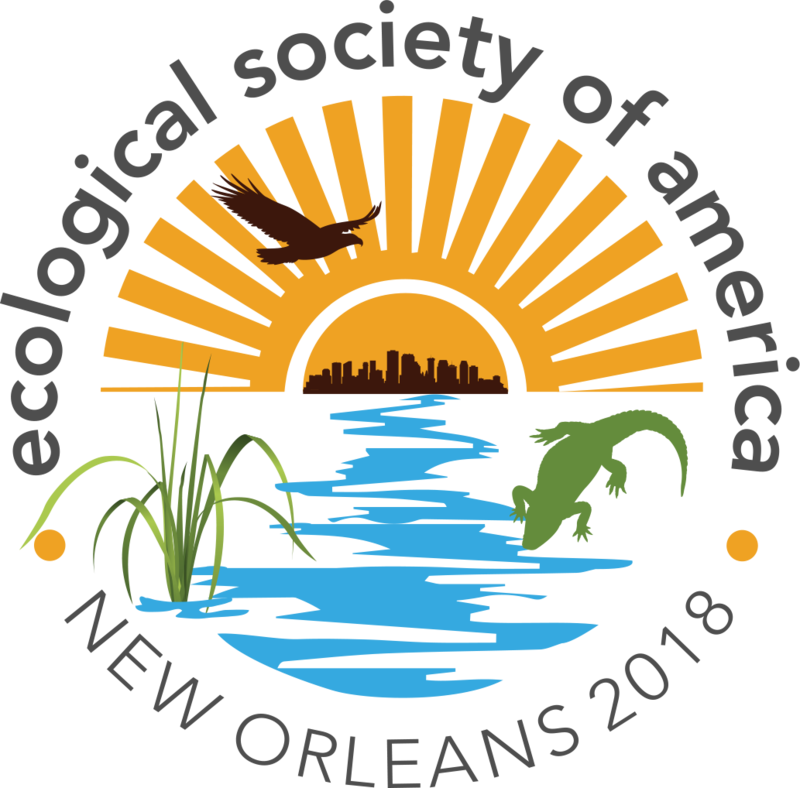 Ecologists from 50 U.S. states, U.S. territories, and countries around the world will converge on New Orleans, Louisiana this August for the 103rd Annual Meeting of the Ecological Society of America. Up to 4,000 attendees are expected to gather for thousands of scientific presentations on breaking research and new ecological concepts at the Ernest N. Morial Convention Center on August 5 – 10, 2018. ESA invites press and institutional public information officers to attend for free. To apply, please contact ESA Public Information Manager Zoe Gentes directly at zgentes@esa.org. Walk-in registration will be available during the meeting. The opening plenary talk by Robert Twilley will be live-streamed – watch it here on Sunday, August 5 at 5 PM. The Ecological Society of America (ESA), founded in 1915, is the world’s largest community of professional ecologists and a trusted source of ecological knowledge, committed to advancing the understanding of life on Earth. The 9,000 member Society publishes five journals and a membership bulletin and broadly shares ecological information through policy, media outreach, and education initiatives. The Society’s Annual Meeting attracts 4,000 attendees and features the most recent advances in the science of ecology. Visit the ESA website at http://www.esa.org. This entry was posted in Press Release and tagged annual meeting, climate change, hurricanes, mangroves, USGS by Zoe Gentes. Bookmark the permalink.